My youngest child is absolutely obsessed with Minecraft, and we have 5 players in the house, so I was intrigued by the idea of a fiction book for children. 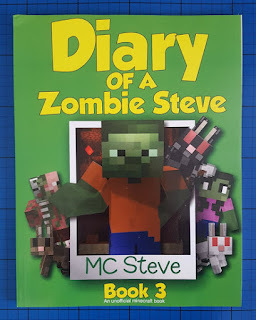 Diary Of A Minecraft Zombie Steve 3: The Lost Temple by MC Steve is a book for independent readers aged around 8+, so it's stretching my 6 1/2 year old, but he's been very determined to read it himself. 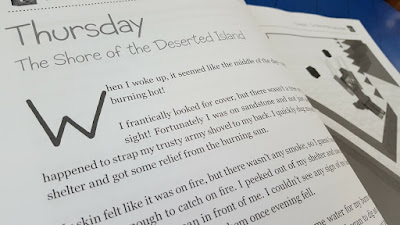 The book is set out as you would expect a diary, day after day, and each date has 2-4 pages. This breaks up the text and makes it seem less intimidating for newer independent readers. The story is that of a Zombie named Steve from the game Minecraft. He works as an architect and wins a huge contract to develop the Isle Of Mists. When he sets off to carry out his work, his boat goes astray and he finds himself thrown into an adventure. 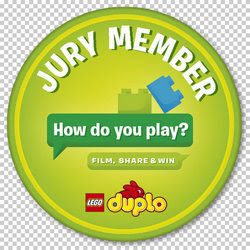 There are large lumps of text and some complicated and tricky words, so the age suggestion of 8+ is right. 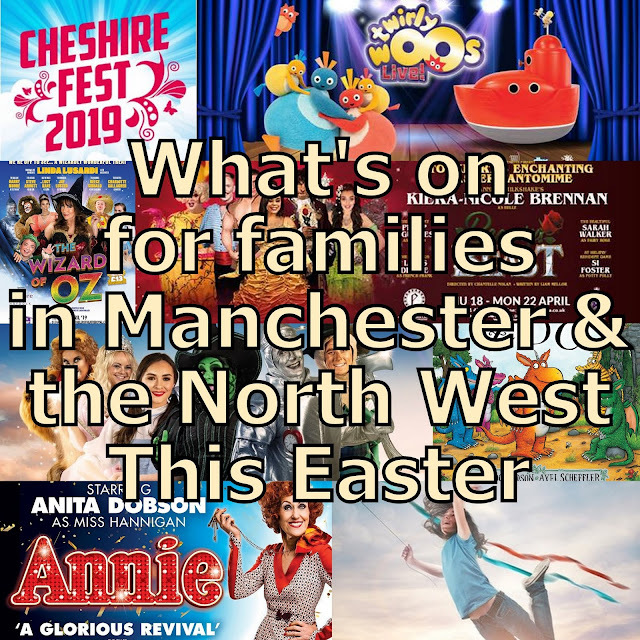 The storyline itself is easy to follow, and told in a light-hearted and casual first-person view including conversations. 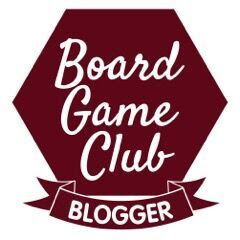 There's plenty of adventure, and everything is familiar to Minecraft players, again helping encourage young readers. 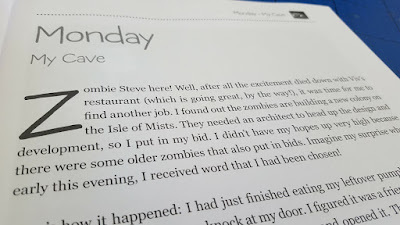 I think the readership is limited mainly to Minecraft fans aged around 8-12, but my 6 year old has loved reading Diary Of A Minecraft Zombie Steve with his 8 year old brother. They've both appreciated the natural pauses provided by the diary format, and followed the story and enjoyed it. 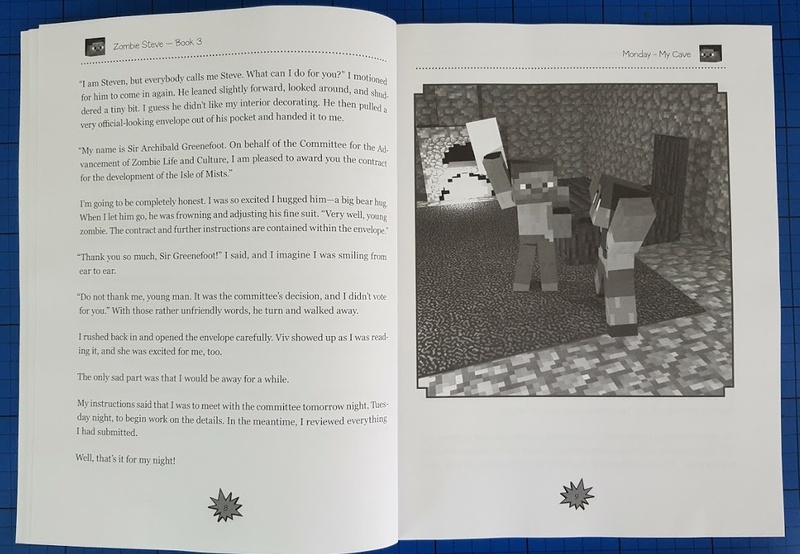 Diary Of A Minecraft Zombie Steve is a paperback book with a glossy cover and black and white images inside. 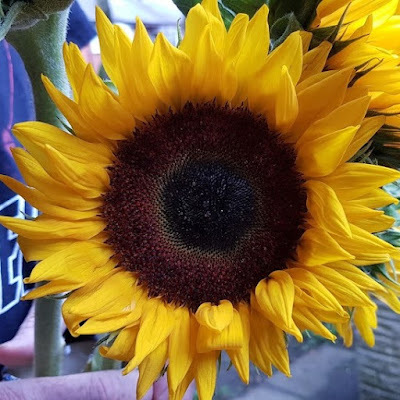 The images are prints of screenshots and aren't good quality. 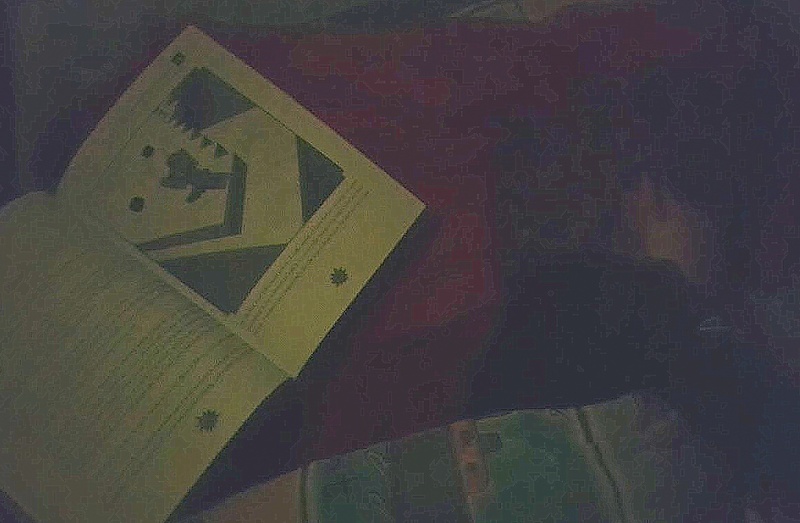 I thought my boys would mention it, but they didn't say a word, so they clearly weren't bothered. 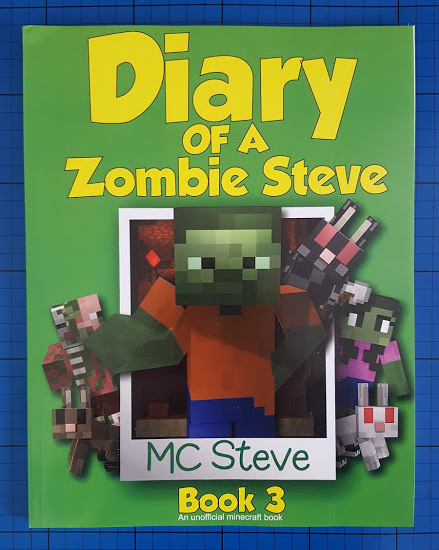 Diary Of A Minecraft Zombie Steve 3: The Lost Temple (An Unofficial Minecraft Diary) is written by MC Steve, has 64 pages and currently costs a mere £3.85 on Amazon. You can't really go wrong at that price for any Primary School-aged Minecraft fans.